The Adelaide Football Club would like to thank Harry Dear, Jackson Edwards and Ben Jarman for their dedication and commitment to the Crows. The trio was told on Tuesday afternoon their contracts would not be renewed. Crows Head of Football Brett Burton praised the players for their contribution to the Club. “It’s always a difficult time of the year in the AFL industry,” Burton said. “Harry, Jackson and Ben are all quality young men and their commitment during their time at the Club has been first-class. “On behalf of everyone at the Adelaide Football Club, we wish them all the best in the future. Dear was recruited with pick No. 58 in the 2014 AFL National Draft and played 50 SANFL games across his four seasons at the Club. 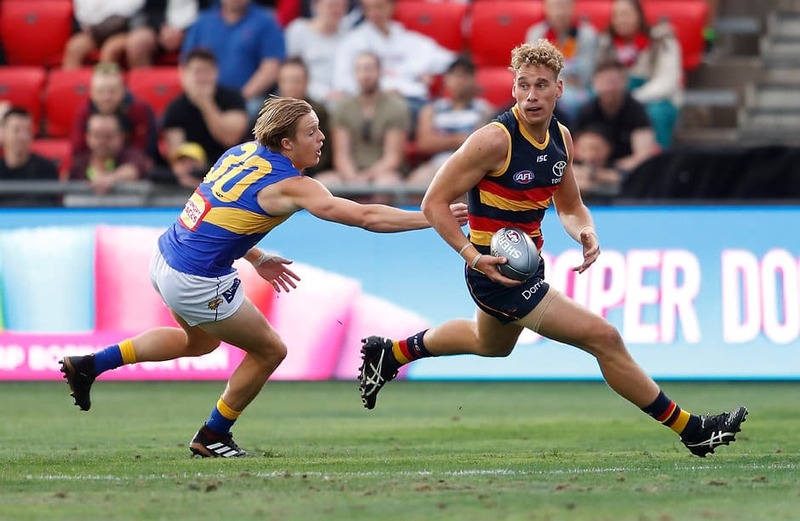 Jarman and Edwards were both father-son selections for the Crows, taken in the 2016 and 2017 rookie drafts respectively. Their departures follow the retirements of Sam Gibson and Curtly Hampton, bringing the Club’s number of list changes to five at this stage. The Club will be making no further list changes until after the upcoming AFL trade period.